It’s a historic night in Chicago. WGN News is projecting former federal prosecutor Lori Lightfoot as the winner in Chicago’s race for mayor. 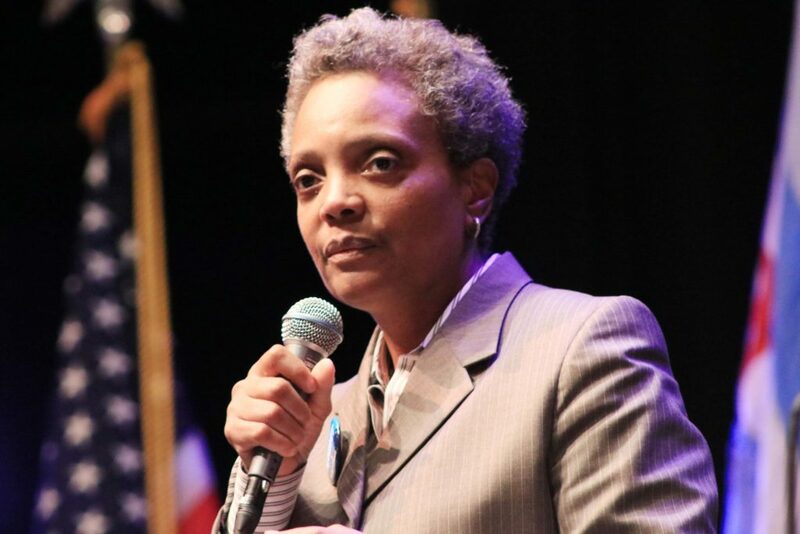 This makes Lightfoot the first Black female and first openly LGBTQ mayor in Chicago’s history. Although Lightfoot has worked as a federal prosecutor and Chicago Police Board president in the past, she says she hasn’t forgotten her Black roots. On Feb. 26, she advanced to an April 2 runoff against Cook County Board President Toni Preckwinkle to become Chicago’s next mayor. She won the highly coveted endorsements of 5th Ward aldermanic candidate and activist William Calloway, brief mayoral candidate and activist Ja’Mal Green, and former mayoral challenger Willie Wilson, who specifically earned the Black vote in 13 wards on the South and West sides. Stay tuned for more updates in Chicago’s runoff election. Click here to read our February interview with Lightfoot.